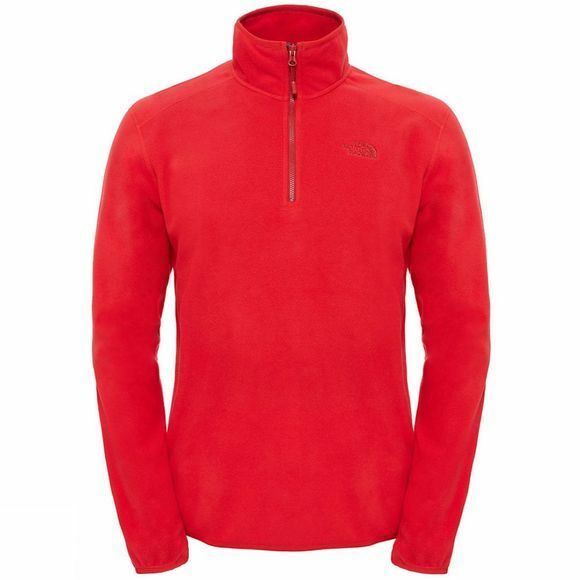 The Mens 100 Glacier 1/4 Zip Fleece from The North Face is a lightweight and warm pullover that is ideal as a midlayer or to throw on to take the chill off. Made from Polartec Classic fabric, it offers unrivalled warmth and comfort without having to sacrifice weight. If things get heated up on the mountains, open the zip to increase ventilation to help keep you cooler.